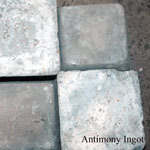 we are one of the leading stockists, suppliers and exporters of antimony ingot. 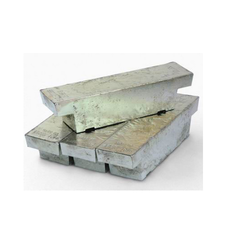 We offer Antimony Metal Ingots to our clients. - Application/Use: In bullets and lead shot, cable sheathing etc. We have gained a remarkable position in the market that is involved in offering Antimony Ingot. Arsenic: 0.060% Max. 0.01% Max. Lead: 0.20% Max. 0.10% Max. Iron: 0.02% Max. 0.01% Max. Our client can avail from us fine quality Antimony Metals. These Antimony Metal are procured from most trusted and reputed companies that are always preferred to supply flawless and standard products. These products are available in market at most economical rates.